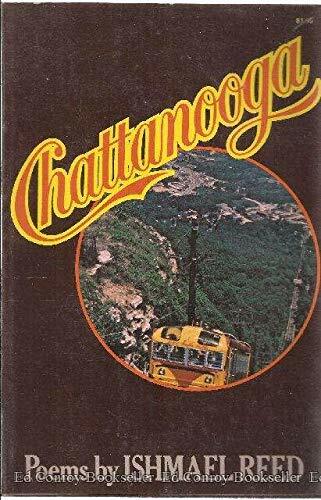 CHATTANOOGA by REED, ISHMAEL: Random House 9780394487786 FIRST., Signed - Vagabond Books, A.B.A.A. Reed's third volume of poetry includes unpublished works from 1966 through 1973, the year it was published. In his jacket notes Reed writes: "Being a colored poet/Is like going over/Niagara Falls in a/Barrel An 8 year old can do what/You do unaided The barrel maker doesn't/Think you can cut it The gawkers on the bridge/Hope you fall on your/Face The tourist bus full of/Paying customers broke down/Just out of Buffalo Some would rather dig/The postcards than/Catch your act A mile from the brink/It begins to storm But what really hurts is/You're bigger than the/Barrel"